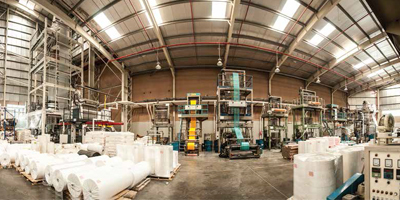 To meet ever increasing demand for unique shopping bags Al Jabri has equipped itself with most advanced fully automatic and high speed machines. The idea of advancement was to give customer one step solution for almost all of customized requirements. We are very proud to announce that we have installed high speed machines for making Banana Bags, Bottom seal, Soft Loop handle, Patch handle, Tie bags and one side adhesive bags this year. We produce bags with different thickness, types and different print designs as per customer requirements. We appeal to all of our customers not to hesitate to approach us in case of any such requirements or further clarifications.